Association for Medical Education in Europe- AMEE promotes international excellence in education in the healthcare professions across the continuum of undergraduate, postgraduate and continuing education. Every year, they organize the largest medical education conference in the world: the AMEE Conference. 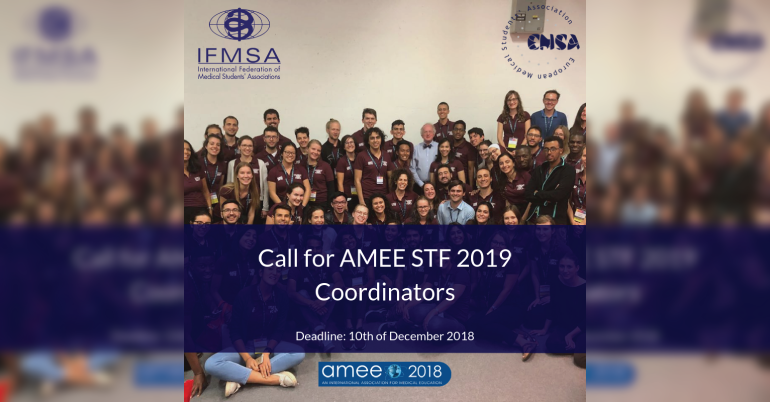 As Coordinator, you will be working with the EMSA Student Representative to AMEE (AMEE Rep), the IFMSA Liaison Officer for Medical Education issues (LME) and the Local Coordinator. Altogether, you will be responsible for the management of the conference 2019 Student Task Force (STF). International Federation of Medical Students Associations-IFMSA has been run for and by medical students on a voluntary basis. IFMSA envisions a world in which all medical students unite for global health and are equipped with the resources, skills and knowledge to take on health leadership roles locally and globally. 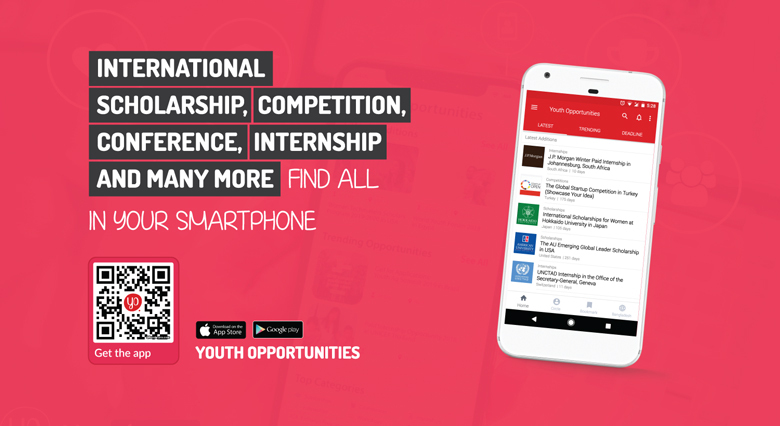 Numerous projects, campaigns, conferences and workshops are organized across member countries in the field of public health, sexual and reproductive health, medical education, and human rights and peace. The Federation also runs over 13,000 clinical and research exchanges annually for the students to explore innovations in medicine and healthcare systems and delivery in other settings. IFMSA is currently building up its programs, which will reflect the work of the Federation in various fields of global health. Programs are specifically designed to connect students and to offer them the possibility to organize and run several activities under a common theme. AMEE offers international medical students the chance to attend the Conference for free. Financial support for travel and accommodation expenses will be provided. A chance to work in a diverse and experienced team and develop your organizational and leadership skills. An opportunity to learn more about Medical Education.